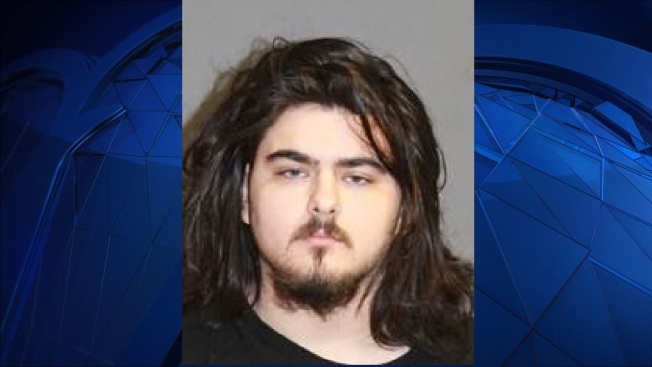 Erik Callahan, 19, of Nashua, New Hampshire is accused of sexually assaulting a juvenile. A New Hampshire man was arrested Saturday on charges of aggravated sexual assault. Erik Callahan, 19, of Nashua, was identified as the suspect in the sexual assault of a juvenile victim on March 23. Detectives from the Special Investigations Division of the Nashua Police Department obtained an arrest warrant for Callahan, who is accused of assaulting the victim at a Nashua residence. The victim and Callahan previously knew one another, according to the investigators. Callahan was officially charged with aggravated felonius sexual assault and aggravated felonius sexual assault-domestic violence, each of which are Class A felonies. He was also charged with two counts of second degree sexual assault-domestic violence, a Class B felony. Each Class A felony is punishable by up to 15 years in state prison, while each Class B felony is punishable by up to seven. Callahan was held on $50,000 cash bail and was scheduled to be arraigned at the Hillsborough County Superior Court South on Monday. It is unclear if he has an attorney. Anyone with more information about this incident is asked to call the Crime Line at 603-589-1665.